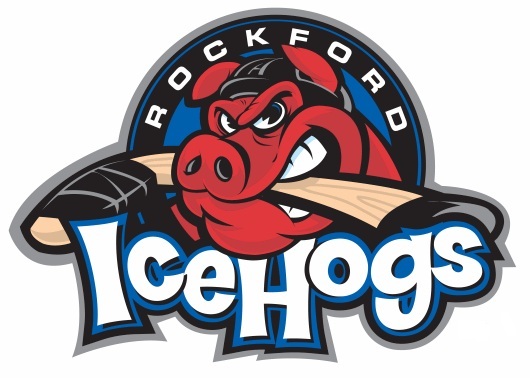 On Sunday, the Rockford IceHogs season came to a close. There were a number of notable performances from some Chicago Blackhawks prospects in the AHL this season. Brandon Pirri led the AHL with 75 points (22 goals, 53 assists) in 76 games this year. His 53 goals tied for the league lead as well, and his six game-winning tied for ninth in the AHL. Jeremy Morin finished the season tied for fifth in the AHL with 30 goals in 67 games. Morin also tied for fifth in the league with 12 powerplay goals. Ben Smith, who played only 54 games, finished tied for the AHL lead with eight game-winning goals. He also finished tied for 12th in the league with 28 goals, and his ten powerplay goals tied for 13th in the league. Adam Clendening, the IceHogs AHL All-Star game representative, finished 15th in the AHL with 17 powerplay assists. Clendening’s 46 points ranked ninth among all AHL rookies. Jimmy Hayes finished fourth in the IceHogs with 25 goals. Forward Drew LeBlanc will also be a restricted free agent this summer. He has yet to play a professional game, but has been on the NHL roster since signing with Chicago. Goalies Carter Hutton, Henrik Karlsson and Alec Richards will be unrestricted free agents this summer. Personally, I really don’t know what to do with Beach…he was better this year, but not anywhere near NHL good. He was a +1, he had 16 goals, he had 250 minutes of penalties, but not tons that hurt the team…but I don’t know…he is slow slow to “get” things and process them…he is relatively slow, and doesn’t show great finishing hands around the net, which should be his forte. Max Suave came late, but actually showed quite a bit in his last 2 Rockford games…maybe he is the next Jeff Taffe/Martin St. Pierre…I don’t know. Shawn LaLonde is starting to get it…his horrendous D zone giveaways were way down…he finished the season with a zero +/-, which is a small miracle for him…and his physical play was much better…he’s already a great skater and has a good offensive game…I would say extend for 2 more seasons. I think Ryan Stanton will be a starter for the Blackhawks next season…hopefully Bowman can sign him to a 2 way contract. Joe Lavin is also starting to get it. He had a zero +/- this year in 39 games, and was very solid the last quarter of the season. He has the size and the ability to play, and now his defensive game is coming around…I would, like LaLonde, resign one more time and give him a chance to stick in 2 years time. I think either Hutton or Karlsson will be in Chicago next year…Richards has not shown enough IMO, especially with Carruth and Whitney coming. Pirri must be given a shot at the 2nd line centre spot next season…I think he’s ready…besides leading the league in scoring, he also finished the year at +11. Ben Smith’s numbers are phenomenal when you consider that he had to deal with being left off the Hawk’s roster when it looked like he was going to make it. He dealt with 2 fairly serious injuries, and yet still was essentially a PPG player…a consistent goal scorer, great on the PP, and very physical…he was also +17 on the year. Jeremy Morin struggled with being sent back to Rockford, like Hayes, but was also essentially a PPG player, showed a lot of strength and physical play, and a big time goal scorer…he will be with the Hawks. The Ladd deal starts to look a little better. Jimmy Hayes has the size, strength, net presence and scoring touch that the Hawks can use…he has proven over 2 lengthy stints in the show that he belongs. As Wall said, all he has to learn to do is stay on his skates and not fall down so much. I think we will see him in Chicago next year as well. Clendening was outstanding…forget that he was a rookie to boot…he was flat out outstanding…his goal on Saturday, stealing the puck at the line, and then blasting one home was a thing of beauty…and sparked the come back over the top team in the AHL. I just can’t see someone who was better in Rockford than Leddy was, spending another year there…it would be a waste…Adam is ready…plus he has put on 20 pounds of upper body muscle and can be physical getting players off the puck. A star in the making I think. Thanks Tab. It is to bad that the season is over for them. I was happy to see that they ended their year with purpose. The club went 19-6-1-0 in their last 26 games. Goes to show how important the first half of every season is. They chased that playoff spot all year. I think Stanton, Hutton and Karlsson will be the priorities. I am not sure about the whole LaBlanc situation. Tab, any thoughts? Lastly, do you think the Hawks will now use some Icehogs these last 4 games? I would love to see Lines 1 & 2 restricted to about 14 – 15 minutes. I would imagine we would see some Aces play in the last 4. Can’t wait to get a look. Can Pirri be the 2C of the future? Is Clendening ready for NHL hockey next year? Does Smith/Morin/LeBlanc make a roster player exspendable? Does Olesz have anything to add at the Pro level (19 points/14 games, +5)? Let’s see! As much as Bolland is analyzed by the people on this board (and i’ve been one of them), i can’t help but think we are going to need him as an agitator in the playoffs. Especially if we draw CLB. Even though i think we beat CLB in no more than 5 games, that series scares me for the long term goal. We always play tough games with them (2 OT, 4 1-goal games). That can be draining and could hurt us over the long haul. But that said, DET still has 2 extra games and is only trailing by 3 points, so CLB isnt out of the woods yet. 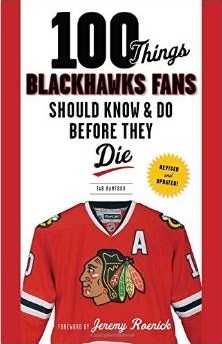 And besides I would love to see a CHI/DET playoff series before they head East… I wasn’t watching hockey in the late 80’s (I’m only 26 and didn’t start watching with my brothers until the ’92 playoffs- which was a series win for the Hawks). But then obviously the ’95 and ’09 Playoffs series vs the Wings didn’t end as well. So one last one for good measure would be nice! Beach – likely a victim of situation, the organization has Garrett Ross under contract next year already. With Bollig, Shaw, Ross and Carcillo under contract next year, it’s increasingly harder for me to see him back in the organization next year. Suave – interesting character who obviously was acquired by Bowman. But was he brought in because his contract expires? it’s possible. Rockford will have a number of new bodies next year, especially at forward, so he might have been a rental to clear roster space next year. LeBlanc’s presence in the organization also makes it harder to see Beach & Suave back. You don’t often see an unsigned college free agent get a deal for two weeks without an invite back the following year. Also, remember the Hawks can only have 50 contracts and have a lot of players ready to make the move from juniors to Rockford. Stanton – a starter for the Blackhawks next year? No. But could he win a bottom-pair roster spot? Possibly. And I would sign him up with a deal similar to what they gave Ben Smith & Bollig before the 2013 season (two years w/ the second season being one-way) and give him a chance. Brookbank is signed thru next year, but Stanton has done enough to earn a shot imo. Lavin – solid kid, but I’m not sure how/where he fits on the NHL roster. But he is the kind of guy they need in Rockford. There isn’t a lot of blue line depth in the organization, so he might get another two-way deal. Lalonde – toughest call of the five imo. I think he’ll be back, but on another two-way deal. With all three of these blue line RFAs, the future of Olsen w/ the organization could very well play into their next contract. I really liked Lalonde a couple years ago at prospect camp, but his game needs to mature. With the netminders all being UFAs, and Emery needing new paper as well, the organization will likely pick one of them to back-up Crawford next year and let the rest walk. Remember: Hutton was an unsigned college UFA; adding someone like that for Rockford with one of the developing prospects (Carruth imo) makes sense. I wouldn’t mind Hutton getting one game in the NHL down the stretch as a tryout. With guys like Pirri, Hayes, Morin and Smith (and maybe others) all potentially on the cusp of the NHL roster for next year, I would be shocked to see Bowman sign both Stalburg and Bickel this off-season. I think Stalburg in particular will be too costly to resign. If I’m understanding him right, Bowman’s philosophy is to lock up the core guys and then roll through a mixture of young talent from within the system and free-agent veterans on the cheap. So the way I see it, if Stan is doing his job the way he hopes to, we should expect to see the team parting ways with large-contract guys like Stalburg and/or Bickel and replacing them with guys coming up in the system. That is the general plan Mo…but I think the FAs on the cheap were only a necessary evil until the system was ready…it’s ready now…I don’t see the Hawks dipping into FA for awhile. As for Stahlberg, I agree with you in general, but I think in his case because of his stunning speed, size and attitude he will be back. Plus, it is another Bowman “win” and thus a Bowman guy…we got Stahlberg from the Versteeg deal, and I don’t see Stan letting that go…I think its Bickell (whose done a great job this season) that is the likely casualty. Tab, thanks so much…good observations…what do you think about the Pirri, Hayes, Morin and Smith situation? And I would love to hear your thoughts on Clendening. Thanks again. Wall, what are you thinking about these players? Hi guys i just want to let you all know that i read all your comments daily and really appreciate all your POV’s. You always get the most up to date info from you guys and it’s great. I have cheered for the Hawks since the mid 80’s and hate the canucks as much as anyone lol. Biggest weakness for all of these guys– Is Skating (especially when compared to the Hawks current line-up) which is one of the best skating teams in hockey 1st line thru 4th. Smith is the smartest- hard working of the bunch- gritty (like a poor mans Brad Marchand)- but is often injured. Morin is a true sniper/scorer- possibly could fit in w/19-81- because they can make up for his lack of D, and they can both hold puck a second longer for him to get into the play. This would allow the Hawks to drop Saad down a line (only if 10 centers). And you have said it all year- we have no #2 center on this team… and no one in system fills that spot!!! Kruger is a tough kid- BUT he shoots like Frolik!!!! Thanks Wall…good insights and as always, its greatly appreciated. Also, very little heard from Dylan Olsen this year. What’s up with him? There’s no limit on the NHL roster size after the trade deadline, so the Hawks can currently call up as many AHL players as they like. Wall- not sure if you will come back to this thread, but what you think about Pirri centering 20/81 on the 2nd line? they both play tough D, hustle and could cover up Pirri’s defensive short comeings, while 10/19/88 could load up up front. Just an idea that could keep the Shaw and Kruger on the 3rd and 4th. Once again- after all the time he has missed- just don’t think there will be any market for 36 – good news it would only be a 1 yr. burden to someone. As long as we dont expect much back in return, I would think a player like Bolland can find a home. Despite his growing injury history, and his (well documented on this site) FO woes, he is a vertern with playoff experience and a knack for getting under an opponets skin. There should be someone… such as NewJersey. They have many UFA/RFAs, and should have some cap space. After Zajac/Henrique, Bolland could be a good 3C for them, and a 6th rounder wouldn’t cost them much. Depending on who they sign/dont sign UFA/RFA wise, this would be a lost cost/risk option… and if it fails, bolland’s contact ends the next season.